It's summer time and this summer I am completely indulging myself in Comfort Books. We all know what "comfort food" is - that indulgent food that may not be entirely good for us but is so satisfying that it comforts not only our hunger but our soul. Comfort Books do the same thing. They fully engage us, entertain us, and feed our soul. What is your list of "Go To" reads when you just want to read something completely satisfying? 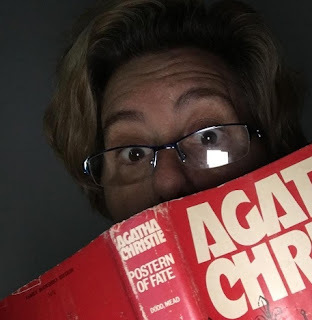 For me, I go back to Agatha Christie, Stephen King, and a number of young adult titles from my childhood. This weekend I found a great old hardback copy of an Agatha Christie book that I had never read before. The store was only asking $1.00 but it was 50% off the day I was in there and so I only paid 50 cents. What a fun find! I am also rereading The Mixed-Up Files of Mrs. Basil E. Frankweiler (which is just too much fun and possibly the inspiration for the movies Night at the Museum). And then I am going to my bookcase and clearing out some old books that may need to find a new home - I have to seriously pare it down. I may read a book from my wine collection or art / poetry collection. Who knows where this cleaning exercise will lead me.